What happens if a car rushing at a speed of 150 km hits the concrete wall? Usually the car will be crumbled and broken into pieces. And if the car rushes into a speed of 150 to 1670 km, then what will happen? The name and mark of the car will be finish. All parts of the car may not be found. If our earth's rotation stops suddenly then something like that will happen? Let's know what can happen if the Earth's rotation stops. The Earth rotates around the sun and rotates around its axis; that we call the rotating speed. It takes 23 hours 56 minutes 4 seconds to rotate around one axis around its axis. The velocity of the rotation is the highest in the illumination line; about 1670 kilometers per hour. This velocity is slightly lower in the polar region. 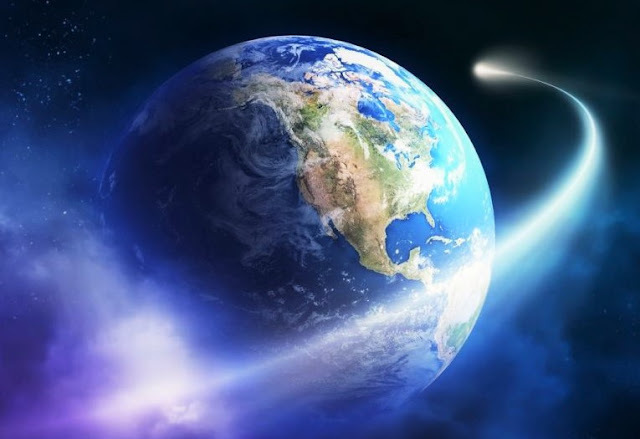 If the Earth's rotation stops suddenly, then everything on Earth will start flying eastwards at some speed of 1600 kilometers Houses, animals - birds, people, roads, factories, everything. People will start flying faster than gunfire at almost supersonic speed. In a moment, people will be completely wiped out. If the Earth's rotation stops suddenly, strong winds will start at 1600 to 1700 km per hour. People in two places in the first few seconds will probably survive those who were flying on the plane at the time and people in the North and South Pole. But after a few seconds the terrible dust storm will start. Suddenly the thunderstorm will start with Thunderbolt will be so much as astonishing to fly the airplanes. The world will stop suddenly, such as storm, when nuclear bomb exploded. This dreadful storm will push the pole; the people living there will be completely wiped out. When the earth's rotation stops suddenly, the vast sea wave will be created. By the way, in 2004, there was a slight earthquake in the Indian Ocean under the terrible tsunami. About 2.5 million people died. And if the whole earth stops, then how big a big earthquake can be. When the Earth's rotation stops suddenly; two oceans will be formed in two poles. Due to the centrifugal force the water that is present in the equatorial region is left to two poles. The equatorial area will be completely dry; a huge continent will be created. If you want to walk around the whole world, you can go to the equatorial area because there will be no waterfall in this region. Because of the Earth's rotation, our weight is in balance. If the speed of the earth increases, we lose weight. If the speed of the earth increases, we will become impoverished. But if the speed of the Earth decreases then our weight will increase suddenly. The tremendous energy and the momentum of the Earth will greatly dissolve the earth. It is impossible to guess which result. 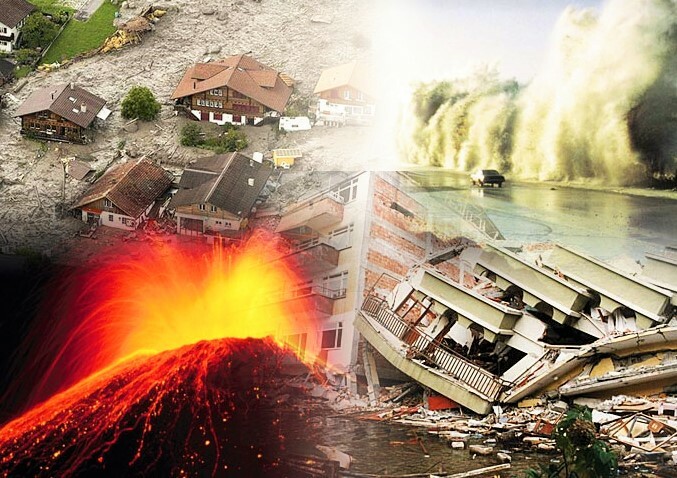 A massive earthquake will start on earth everywhere. 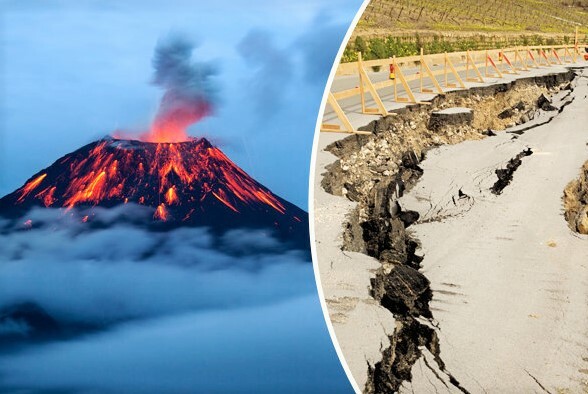 There will be terrible devastation eruptions going on. Because of the speed of the Earth's rotation, it is day and night, but if the Earth's rotation stops, then one day of the earth will remain day and night. Because of the continuous day, it will be hot on one hand. On the other hand, there will be heavy winter due to the continuous night; everywhere the ice will be stored. According to NASA scientists, continuous 6 months and 6 months of night will prevail, because still the movement of the Earth will continue. The shape of the earth is elliptical; somewhat like oranges. This type of shape is due to the rotation of the earth. Two polar regions swell a somewhat flattened and neutral zone. If the Earth's rotation stops, then the Earth's shape will become circular gradually. is there any possibility of earth's rotation can stop or stop? A reference to NASA may be mentioned in the answer. NASA has been tested and monitored; the length of day is increased by 2.3 milliseconds per 100 years. After a few billion years, the length of day will be much greater than the length of the night and then our planet's rotation may be stopped. If you like the article, please share your opinion comments and share it with everyone. Thank you so much for reading this post.